Apple launched the new generation of the Apple iPad, and interestingly, it has got no specific name. Its just called “the new iPad” but still people have started calling it the iPad HD (due to the HD screen), iPad LTE (due to the 4G LTE connectivity) and many other names. But Tim Cook isn’t as creative as Steve! Anyways, here is what all the new iPad has got. The new iPad comes with the 9.7-inch touchscreen with the Retina display, having the whooping high screen resolution of 2048 x 1536 pixels. That is incredibly high, with the total of 3.1 million pixels, giving a clarity that no other device would possibly get. Retina display is something totally loved in the iPhone, and now the larger screen with the excellent display, the best experience. Razor-sharp text. Richer colors. In order to create a display with four times the pixels, we had to design it in a completely new way. You see, every pixel in a display has multiple signals telling it when to light up. But when you have a lot of pixels and a lot of signals on the same plane, signals get crossed and image quality suffers. To make sure everything on the new iPad looks crystal clear, Apple engineers elevated the pixels onto a different plane — separating them from the signals. It’s technology that’s breakthrough. Just like the new iPad itself. The A5 chip is now advanced to make it the A5X chip, with a performance support for the graphics. The A5X chip with quad-core graphics drives four times the pixels of iPad 2 yet it delivers the same smoothness and fluidity iPad is known for. Even with all that extra oomph, the new iPad still gets an amazing 10 hours of battery life. The response increases with the quad-core processing from the chip. All this but still a good battery life, that’s what any gadget user would love, may that be an Apple fanboy or not. The 5-megapixel camera of the new iPad shoots excellent pictures, and they come with the Autofocus, tap to focus, tap to set exposure functions which all combine to make the photo capturing the best. This all is added by the built-in face detection, doesn’t detect one or two – but almost up to 10 faces. Video recording – at 1080p HD video recording, you have a perfect replacement for the camcorder. What makes the camera better, although the 5MP lens – camera’s optics, image signal processor, and software. The ƒ/2.4 aperture and a five-element lens gives best and sharp images. The video capture is supported by the video stabilization and noise reduction. Built with the latest in wireless technology, the new iPad lets you connect to fast data networks around the world — up to 4G LTE. HSPA+ and DC-HSDPA, and what we read is the 72MBPs of connectivity on the high-speed 4G networks. 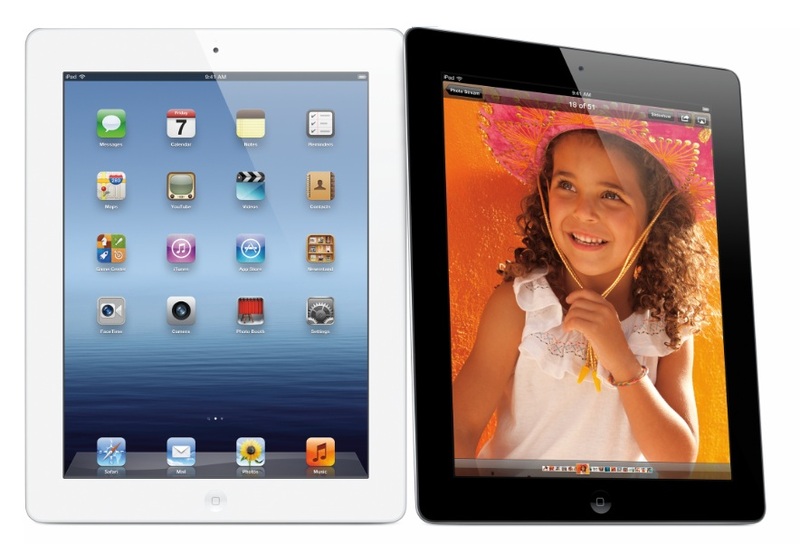 The networks which support the 4G network provision for the new iPad include the AT&T and Verizon networks. The Personal Hotspot – Much awaited this was, and finally the new iPad gives the option for users to use its network as a Wi-Fi hotspot to share the internet data, and use it on other Wi-Fi enabled devices. Now for the first time, you can share the high-speed data connection on your iPad. If your carrier supports it, iPad can act as a personal hotspot for connecting up to five devices — such as a MacBook Air, an iPod touch, or another iPad — over Wi-Fi, Bluetooth, or USB. Write an email. Send a text. Search the web. Or create a note. And do it all with only your voice. Instead of typing, tap the microphone icon on the keyboard. Then say what you want to say while your iPad listens. Tap Done and, just like that, your spoken words become written words. Dictation also works with third-party apps, so you can do things like update your Facebook status or share a thought on your Twitter feed. There are many more things to talk about, and BRAG about the new iPad. We would be discussing each and everything separately, especially about the new iPad camera, which seems to offer a lot. The new iPad has the iOS 5.1, which is available as an update OTA already.